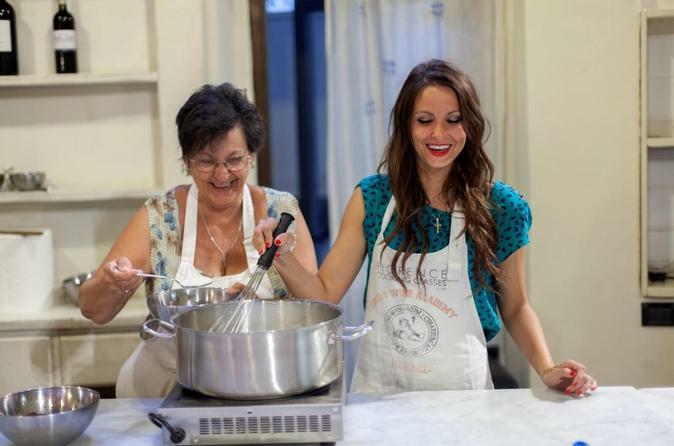 Make like a real Tuscan cook on this 4.5-hour evening cooking class in a historical palace (palazzo) in Florence. Working in a modern kitchen in the old building, learn how to create a quintessential Tuscan 4-course dinner of staples such as Hunter’s Chicken (chicken stew), fresh pasta and ‘tiramisu’ (cocoa, espresso and mascarpone pudding). Gain valuable insider tips from an expert local chef, and then enjoy your dishes during a convivial dinner, complete with well-matched Tuscan wine. 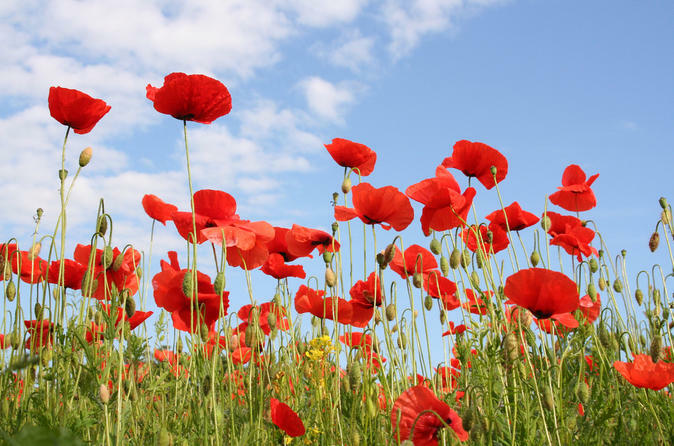 Receive personalized attention on a small-group class limited to no more than 12 people. 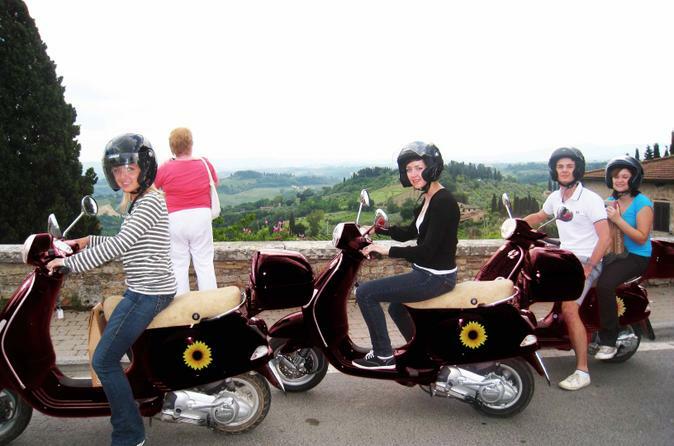 Enjoy a true taste of Tuscany as you wine and dine on this delectable 4-hour tour from Florence. 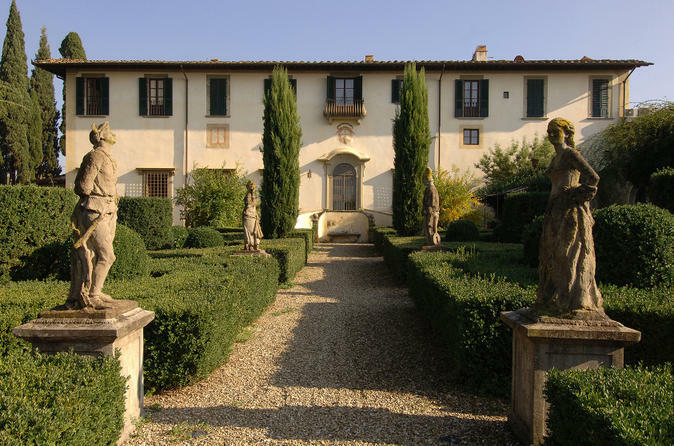 Head out of the city to an idyllic Tuscan country estate and enjoy a refreshing Italian ‘aperitivo’ before sitting down to your freshly prepared 4-course gourmet meal. 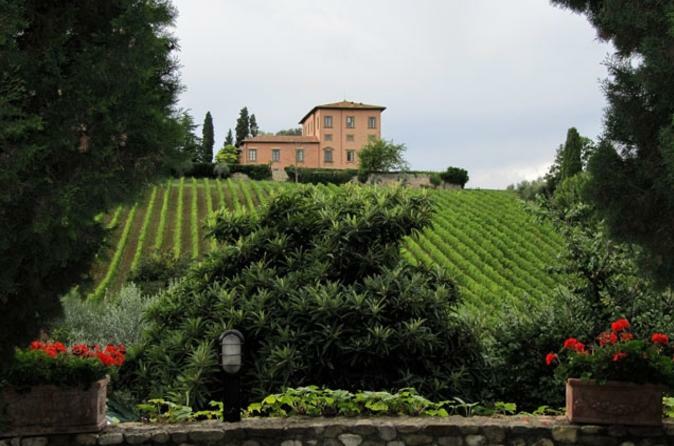 Gaze out at Tuscany’s hills and olive groves as you savor a meal complemented by three fine Tuscan wines. Finish your evening with a drive around Florence to see this magical city in all its nighttime glory! 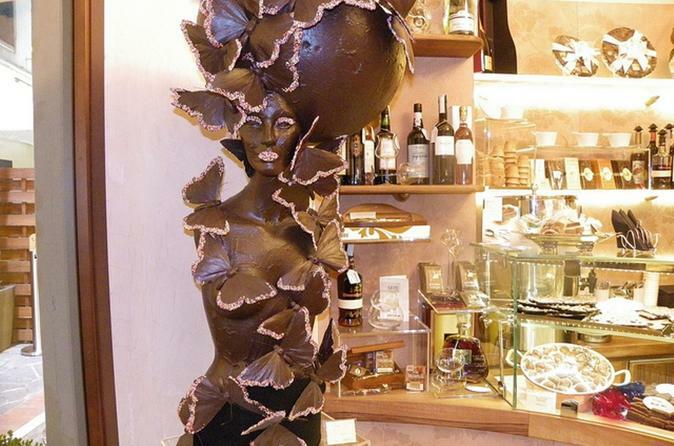 Discover the gourmet delights of Florence on a 3.5-hour small-group walking tour! Follow your expert guide through the city and eat and drink like the locals. 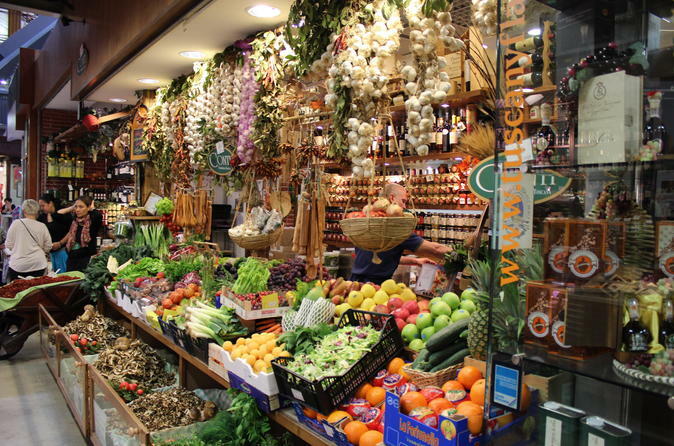 Sip rich Italian coffee, browse a typical Florentine delicatessen, explore the San Lorenzo Central Market, visit a wine shop and sample the best gelato in town! 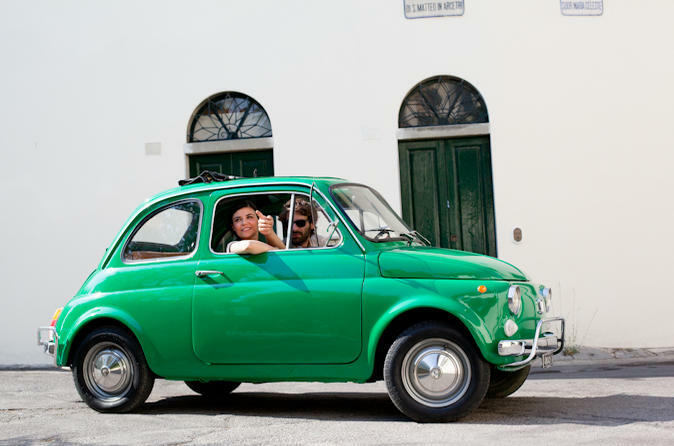 Combine a vintage Fiat 500 tour with a Tuscan wine experience on an exciting day out from Florence! 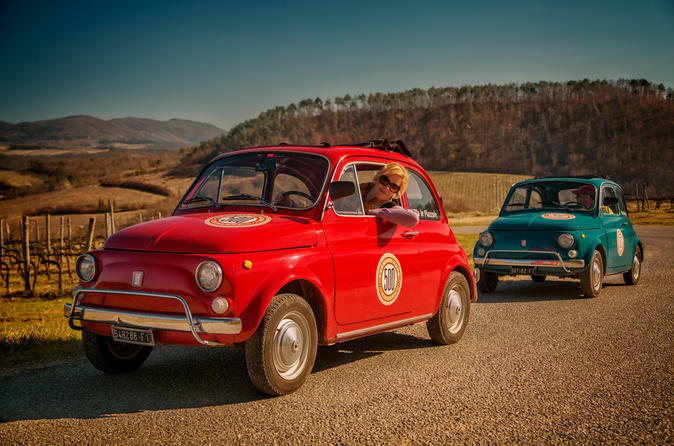 Driving a classic 1960s model, you’ll travel in a convoy following an expert guide into the picture-perfect hills of Tuscany. After arriving at a 15th-century villa and wine estate, you’ll participate in a wine-tasting session and vineyard tour. 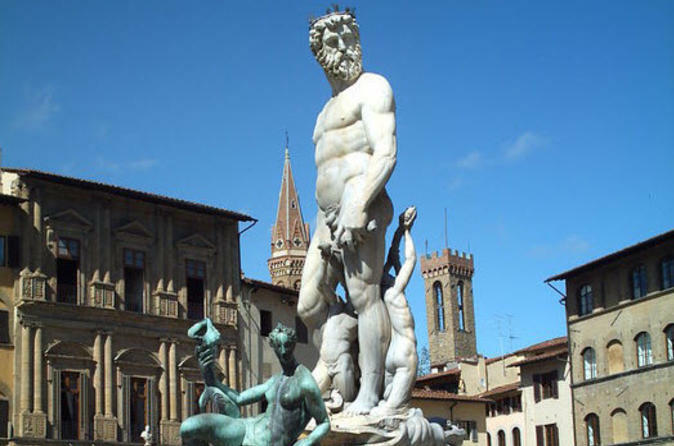 The ultimate experience if you want to visit the Uffizi Gallery (...and you can’t leave this city without visiting Florence - and Italy’s - most famous museum!) being among the very first to enter the museum. A small-group guided tour that will let you discover all the main masterpieces, under the guidance on an art expert and professional guide. And then enjoy a delicious Italian breakfast on the magnificent ancient terrace of the museum. 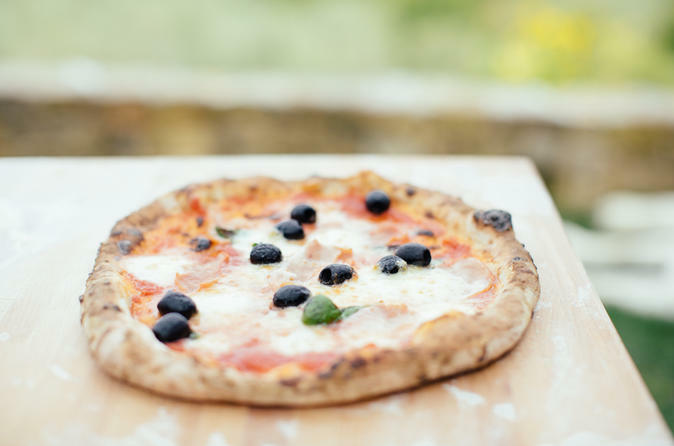 Under the guidance of a professional Italian chef, you'll be taken on a cultural journey learning the skills and inside tricks of making the best mouth watering pizza and gelato right in the country where they were born. 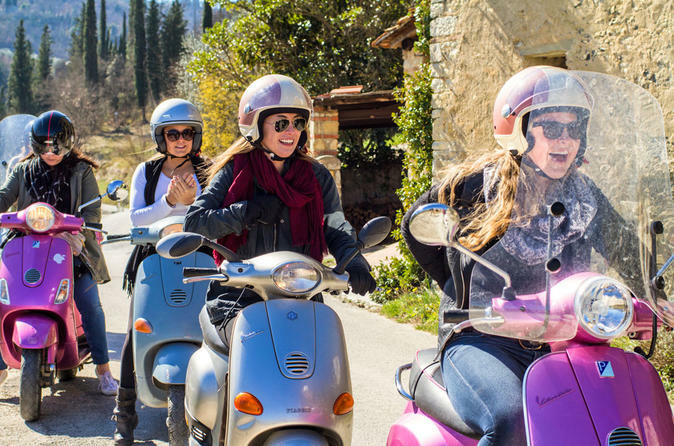 During this 4-hour activity set on a beautiful Tuscan estate offering stunning views over the surrounding hills, you'll roll-up your sleeves and get hands-on experience. Get insider tips and learn special techniques and enjoy a 3-course meal accompanied by wine and beer. Pickup from a centrally-located meeting point is included. Choose from one of 2 departure times when you book. Avoid the tourist crowds of Florence with skip-the-line entry to the Uffizi Gallery, and enjoy complimentary breakfast on the terrace! 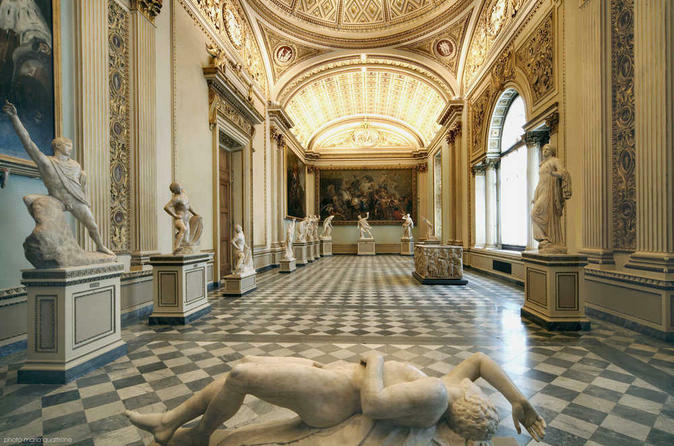 Your 4-hour VIP experience includes an in-depth guided walking tour through the world-famous art museum, followed by exclusive private access to the Vasari Corridor. You’ll view the exquisite collection of portraits and paintings before the doors open to the general public. Enjoy personal attention from your expert guide on this small-group tour, limited to 15 people. Enjoy a 2-hour guided tour of the Uffizi Gallery plus free time inside the museum to continue your visit when the guide has finished. Since the tour starts very early in the morning when the museum is less crowded, you will not be annoyed by the throngs of tourists. The itinerary has been rigorously selected with the help of certified guides in order to show you more than just the great masterpieces everyone knows. You are guaranteed a professional and, of course, an enjoyable experience. Your guide will be monolingual so you will not have to listen to everything being repeated in other languages. 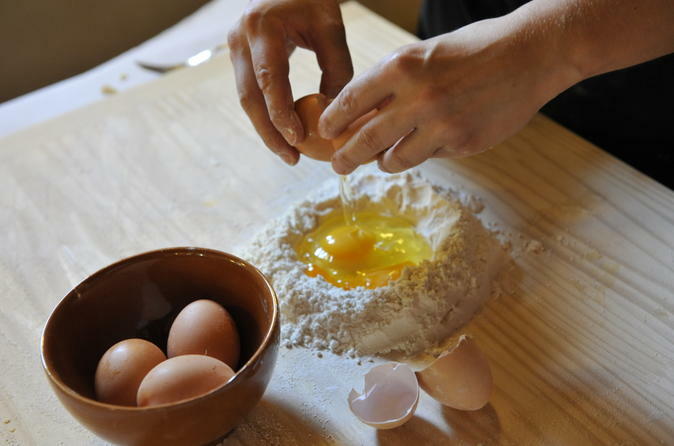 Cooking enthusiasts and novices alike, learn to prepare a four-course Tuscan banquet during this half day cooking workshop in the heart of Florence. 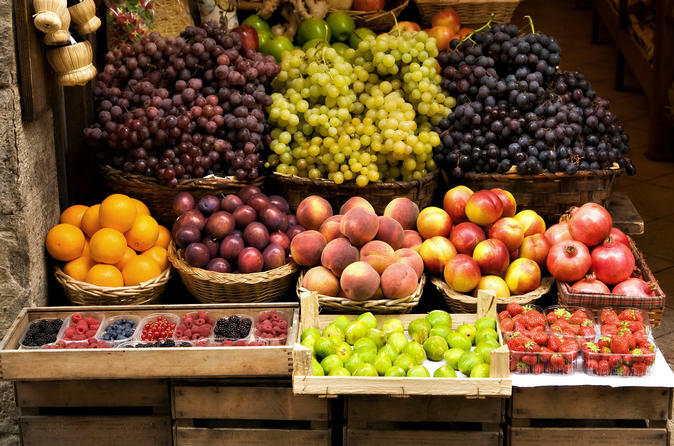 Source produce from a local market and feast on your creations afterwards. Best of all, you get to keep all the recipes so you can wow friends and family with your Tuscan talents even after you've left Italy. Please note that the class will be divided into two groups, with a maximum of 12 people per chef for a more personal experience. Admire the magical aerial panorama and learn the secrets of the Duomo from a different point of view. Enjoy an exclusive perspective: admire Florence panorama from the Duomoʼs 32 metres high terraces and climb up to the top of the Dome! 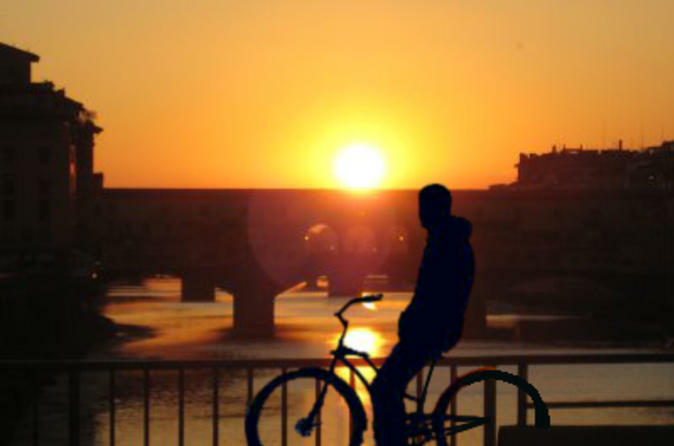 Watch day turn to night in the Renaissance city of Florence on this magical sunset cycling tour. For first-time visitors, this tour gives you a fantastic orientation and an opportunity to see virtually all of the famous sights you've read about - at sunset. If you’re a veteran visitor, this guided tour is guaranteed to cast the city in a new light as you watch the sun set over the red rooftops of Florence. Spend an evening in a cozy Florentine private home and enjoy an authentic 4-course Tuscan meal, expertly cooked by your friendly chef. 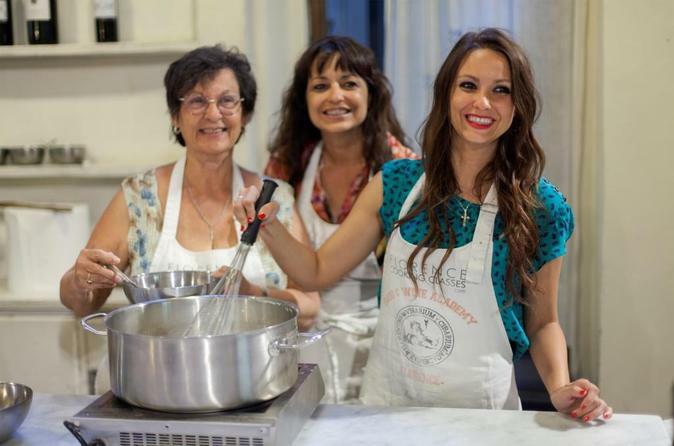 Gain insight into Italian home life and cooking, learning about the history of the dishes you eat and, of course, Florence's famous cuisine! 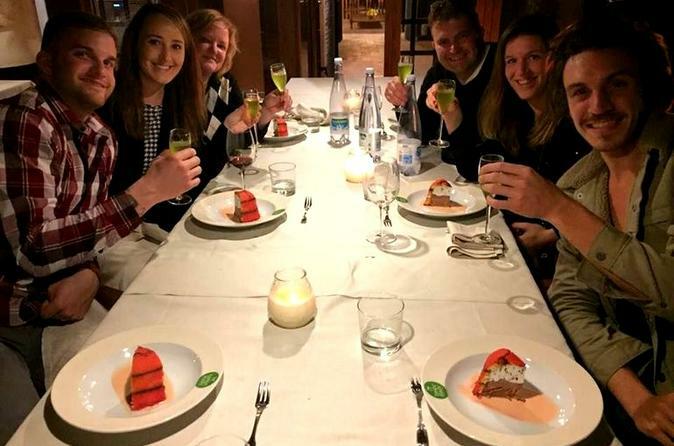 If you’re looking for an ideal mix of culture, fine dinning and great company, this Tuscan dinner experience is not to be missed! 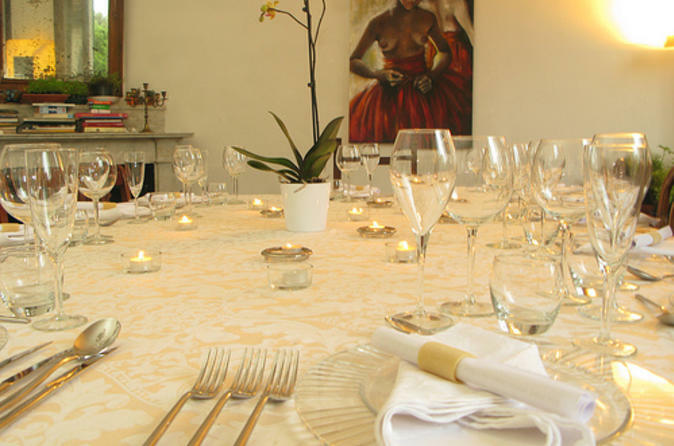 Numbers are limited to 12 people on this small-group experience, ensuring you'll enjoy a more personalized evening with your host. 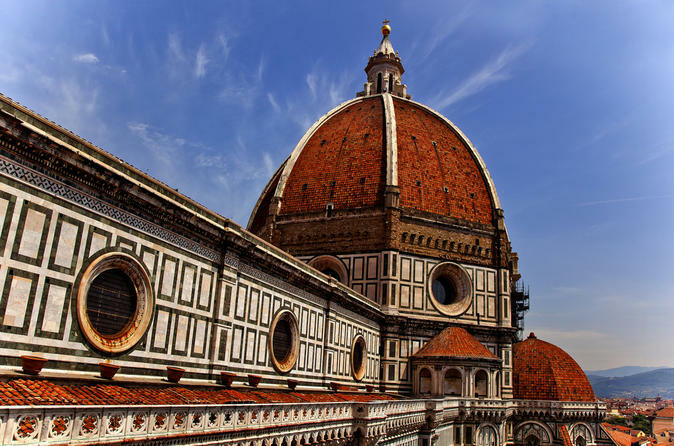 Feast your eyes on Renaissance masterpiece after Renaissance masterpiece on this full-day combo tour of three of Florence’s art galleries. 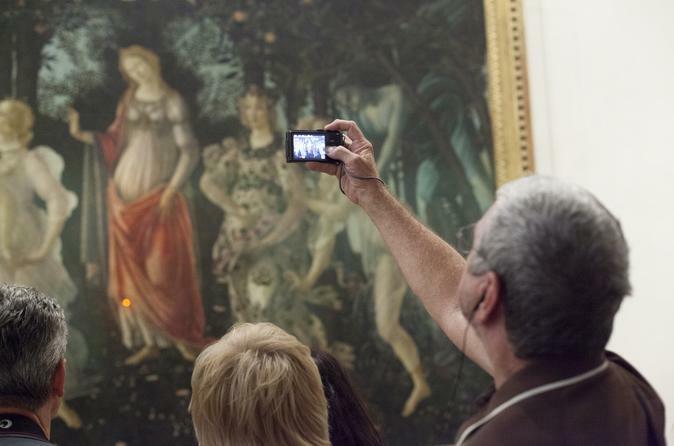 Skip the lines at the Uffizi Gallery to behold works such as Botticelli’s ‘The Birth of Venus,’ and avoid the queues at the Accademia Gallery to see Michelangelo’s ‘David’ and other wonders. 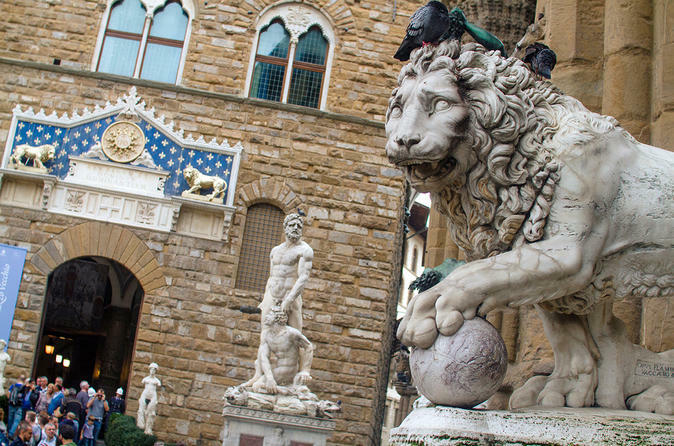 In-between, walk along the hidden Vasari Corridor, an art-laden passage built for Florence’s Medici rulers that’s closed to the general public. On route, your guide brings everything to vivid life with illuminating facts about Florence’s Renaissance history. Head to the Tuscan hills on a day trip from Florence to visit Siena, San Gimignano and, finally, a Chianti winery for dinner! 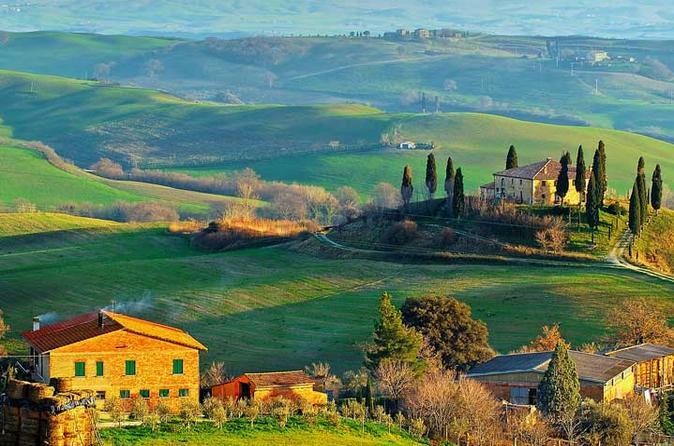 Journey through stretches of glorious Tuscan countryside, and discover Siena’s charms and history on a walking tour. 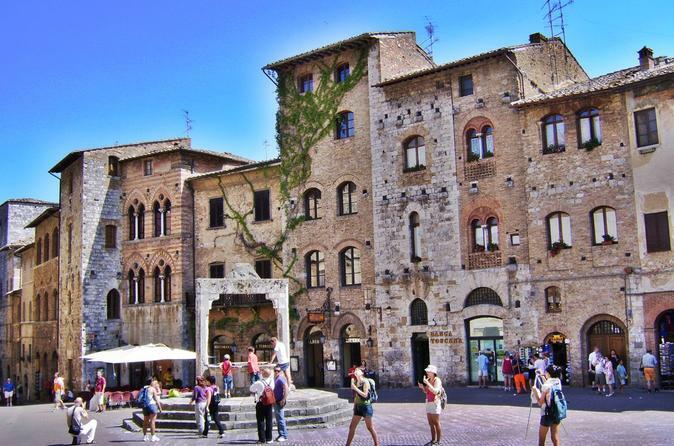 Explore Piazza del Campo, meander around the quieter backstreets and try a local food specialty before visiting the nearby hilltown of San Gimignano. As the day winds to an end, watch the sun set from a Chianti winery while feasting on a 3-course dinner with wine, dessert wine and cookies. Numbers are limited to 16 on this small-group tour, ensuring a personalized experience. 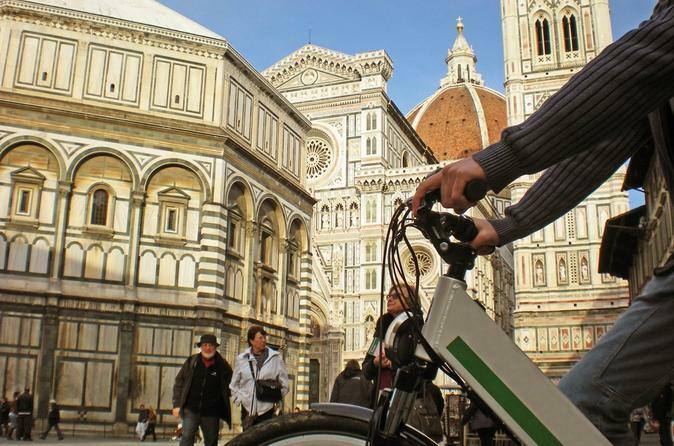 A private tour is ideal for discovering Florence in the comfort of a private vehicle. Choose from a Morning or Afternoon Tour - or combine both as a full-day tour. 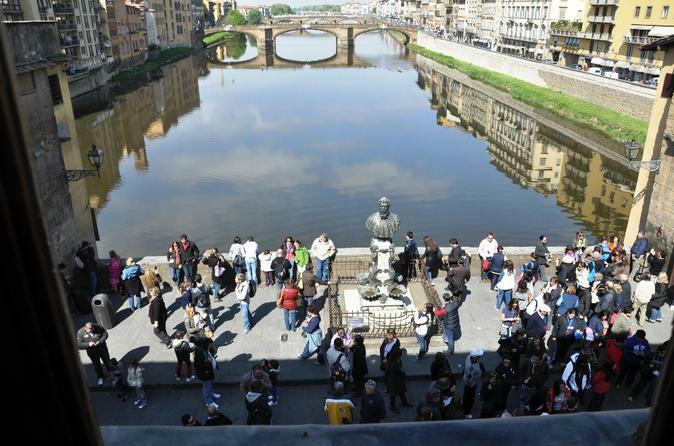 Accompanied by your own private guide, you'll enjoy personalized attention on your luxury private tour of Florence. 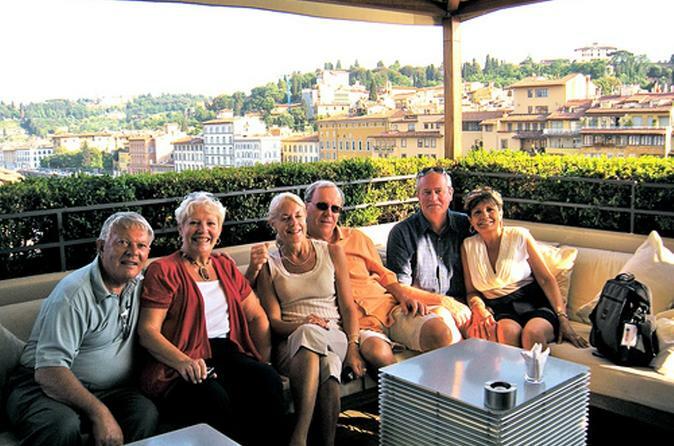 Experience ‘aperitivo’ time in Florence on a 2.5-hour tour, led by a friendly local guide! The most sociable of Italian culinary traditions, the pre-dinner happy hour of snacks and drinks – known as aperitivo – is popular in the city’s beautiful wine bars. After a mojito sorbet in a gelato parlor to start the evening, visit two wine bars to enjoy aperitivo time just as the Florentines do – feasting on Tuscan delicacies and wine. Numbers are limited to 12 people on this small-group tour, ensuring personalized attention from a guide. A 70-minutes small group tour features an English-speaking guide who will accompany you on an exciting brief journey. You will be able to see one of the museum’s jewels, the collection of musical instruments in the Conservatorio Luigi Cherubini. This section includes an original Stradivarius from 1690 and the first modern piano, which was invented in Florence. 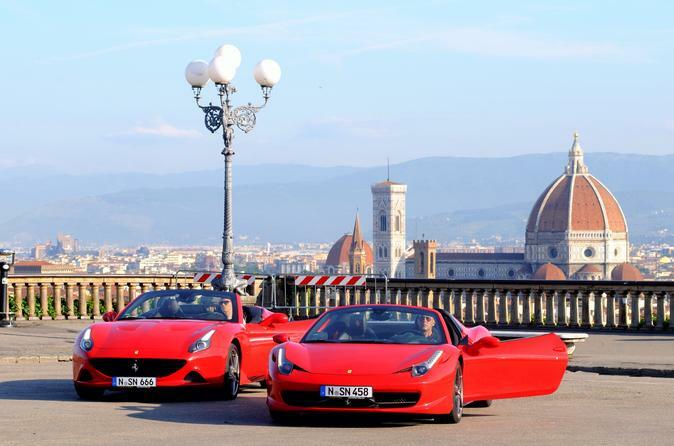 Explore the Florentine hills in style on this 30, 60, 90, or 180-minutes Ferrari drive with an expert guide. 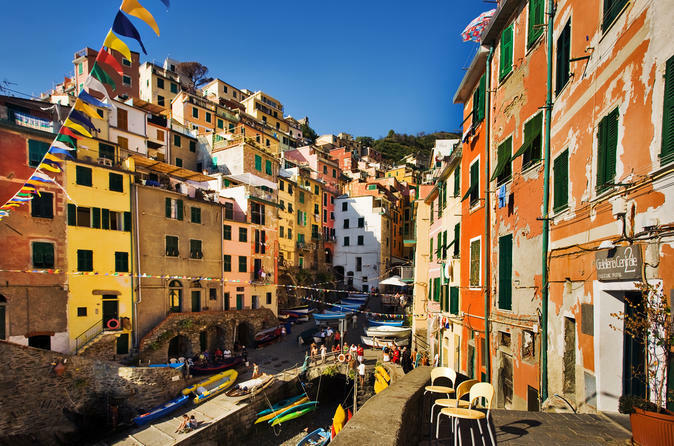 Depart from Piazzale Michelangelo, then wind through the scenic Tuscan countryside enjoying fantastic views in the comfort of one of the world's finest cards. 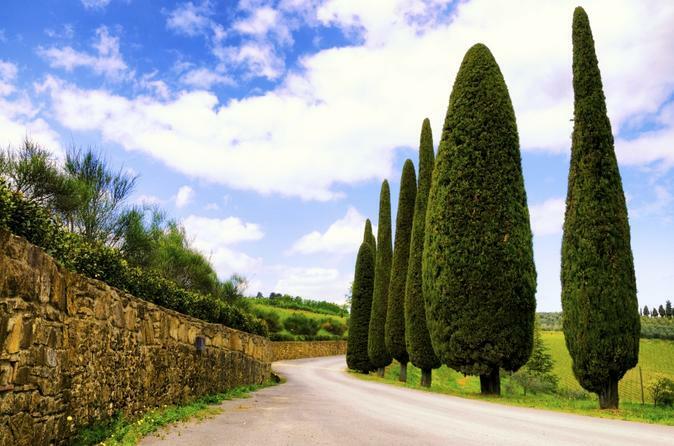 Upgrade your trip with a stop in the hillside town of Fiesole, where you'll enjoy panoramic vistas of Florence while sipping on an aperitif or driving around the amazing Chianti country surrounded by the most famous Tuscany vineyards. Florence is packed full of world-famous sites and this Best of Florence Tour is designed to let you see them all (and learn the stories behind them) in just a few hours. 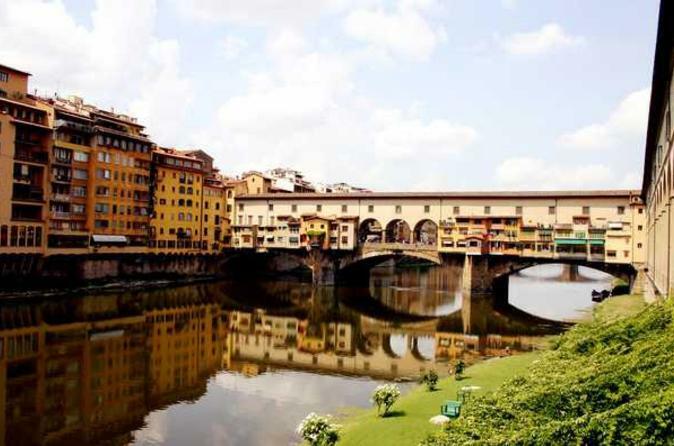 During a guided walking tour of the city, you’ll see Florence’s most iconic sites like the Piazza della Repubblica, Piazza della Signoria, and the Ponte Vecchio bridge. 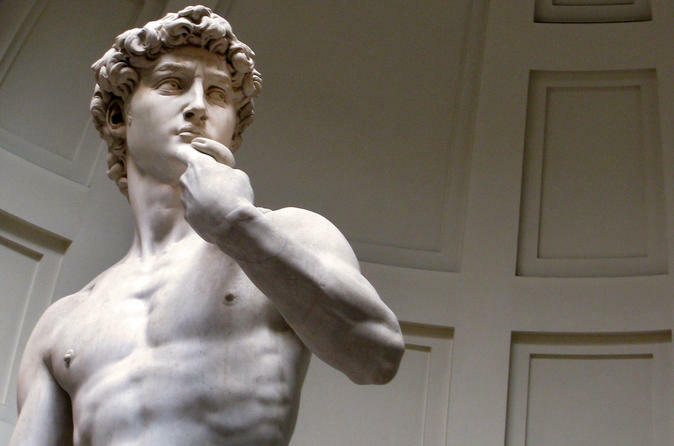 Skip the line into the Accademia Gallery to see Michelangelo’s David and the unfinished Slaves. 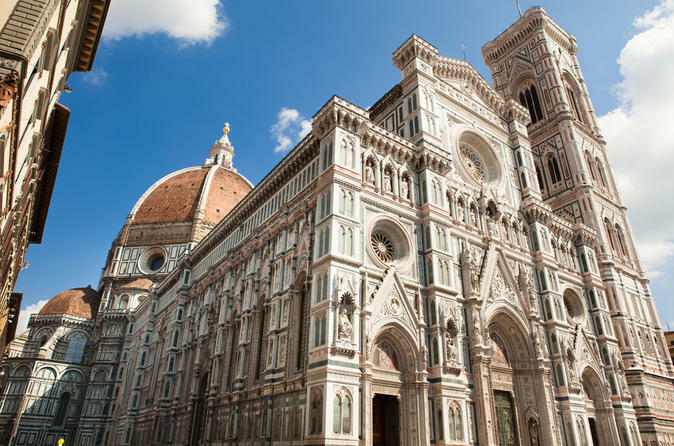 Visit Florence’s world-famous cathedral; the Duomo di Firenze, designed by Brunelleschi, and stop by the Baptistry for a peek at Ghiberti’s golden ‘Gates of Paradise’. 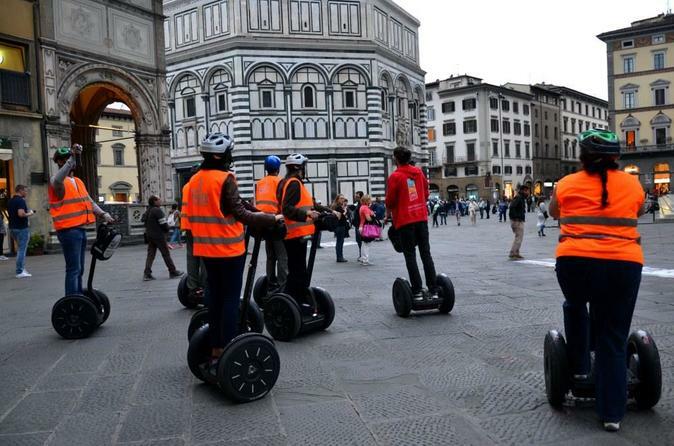 Discover the magic of Florence by night on a 2.5-hour evening Segway tour! On your self-balancing, electric Segway, follow an expert guide around Florence’s charming streets. 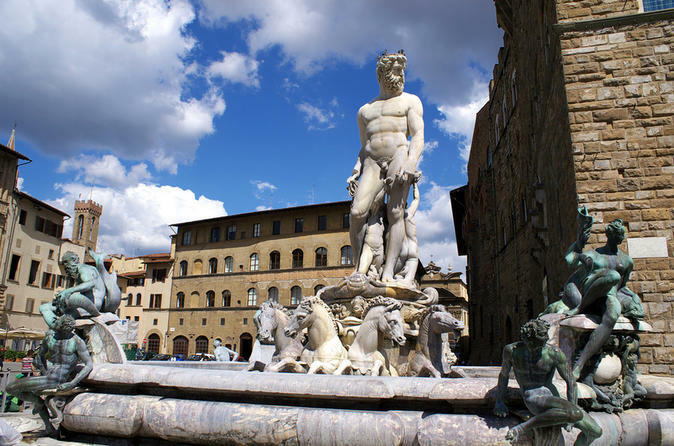 Visit beautiful city squares, enjoy artisan gelato and see top Florence attractions like Palazzo Vecchio, Basilica of Santa Croce, Florence Duomo and more! 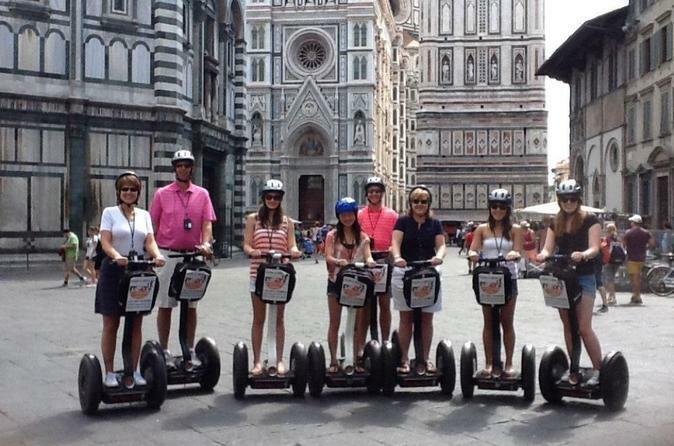 This small-group Florence Segway tour is limited to eight people, ensuring you’ll receive special attention from your guide. 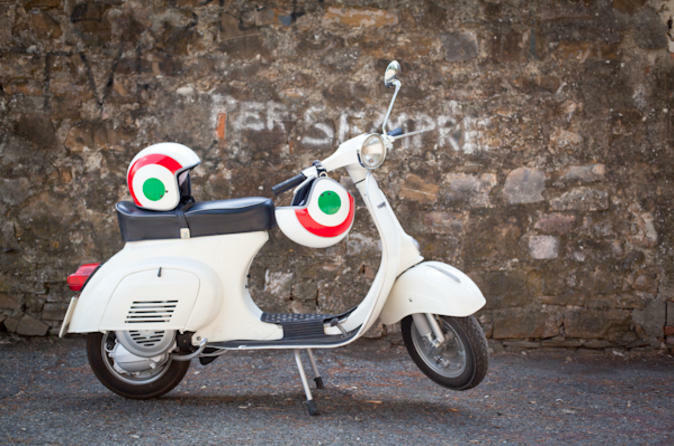 Escape from the crowded streets of the city to see life as a local as you zip around the stunning Tuscan countryside on your very own Vespa! The tour is perfect for all levels as we always begin with a lesson so that beginners may get the hang of driving. After the lesson, the real fun begins. We will zip through the winding country roads and stop for pictures along the way. You won't want to forget your camera on this trip - the sights are incredible and you will be in the heart of the Chianti region! After our picture break we will continue driving until we return to a private Tuscan castle to learn a little bit about how local wine and olive oil is created. With this tour you won't feel like just another tourist, you will get to explore Chianti like a real local! Accompanied by your own private guide, you'll relish personalized attention on your day tour of Florence.